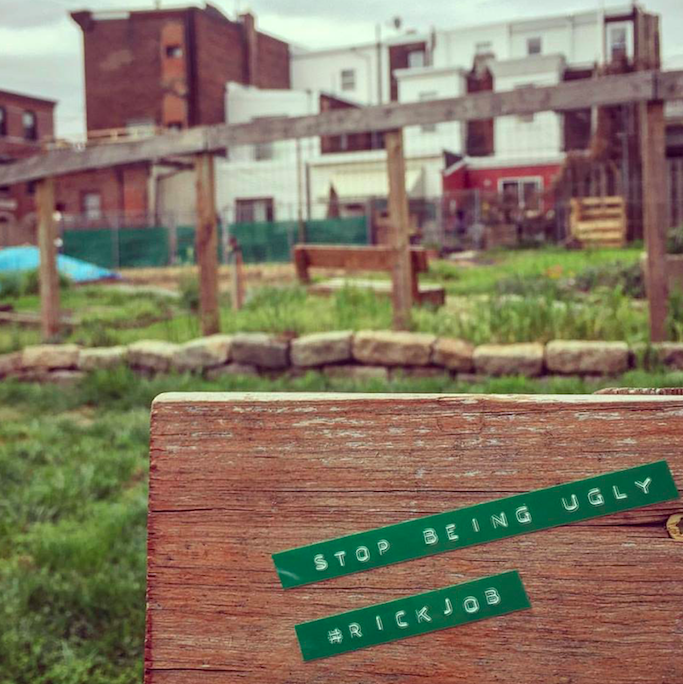 When traveling through Northern Liberties or Fishtown, one might spot a sticker that sports the social media hashtag, #RickJob. Inquiring minds might Google it or search any of the social media platforms that embrace the use of hashtags, particularly Instagram, and stumble upon posts made by barber Rick Juliani. Upon further investigation, one will discover the meaning of #RickJob and why these stickers are posted in various locations across Philadelphia. Diving deep into Instagram allows one to discover that a #RickJob is a nickname for a haircut performed Juliani, who works at DnA Salon in Northern Liberties. When asked about the concept of the sticker, Juliani stated that he needed a way to stand out from the crowd while marketing his services. 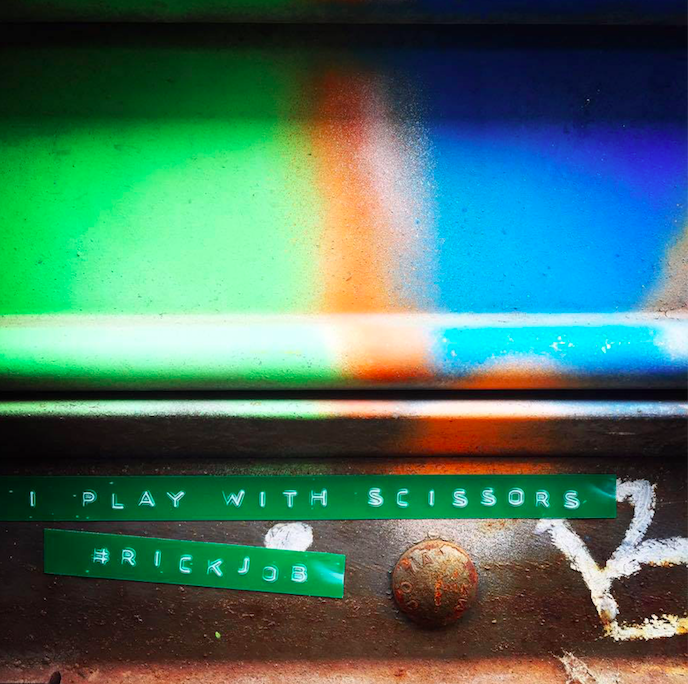 He then coined his haircut as the "RickJob" and casually placed stickers in various locations, often with a clever saying that might gather a laugh or a reaction from readers. Finding clients as a male working in a salon often poses challenges in a setting generally dominated by women. A #RickJob sticker somewhere in Philly. Juliani’s sticker marketing has allowed him to gain a slight advantage by using today’s trendy social media platforms in which content marketing has become a major industry changer. Juliani has essentially made himself the content that he’s marketing. Juliani’s marketing goes further than witty, grassroots stickers. His activity on social media shows photos and videos edited to catch the viewer's eye in hopes it leads to future clients. How Rick Juliani self promotes. When questioned about what makes his job at DnA Salon enjoyable, he stated the culture in his work environment is friendly and familial while presenting a contiguous experience. “From the first person through the door to the last person leaving, you don't feel like you've been to the run-of-the-mill salon. You feel like you've really been somewhere that what you want matters. It's a really unique feeling to say 'how can I help you?' and actually mean it," he said. When guys typically think of getting their hair cut, they might imagine themselves in a barber shop that sometimes charges under $20 per cut, with results that sometimes resemble the end result of a Flowbee. Michael Rainey has been getting his hair cut by Juliani for the past four years. "Before that, I had the misfortune of having my hair attacked by a hodgepodge of goofballs unqualified to shave parmesan at Olive Garden, let alone cut human hair," he said. 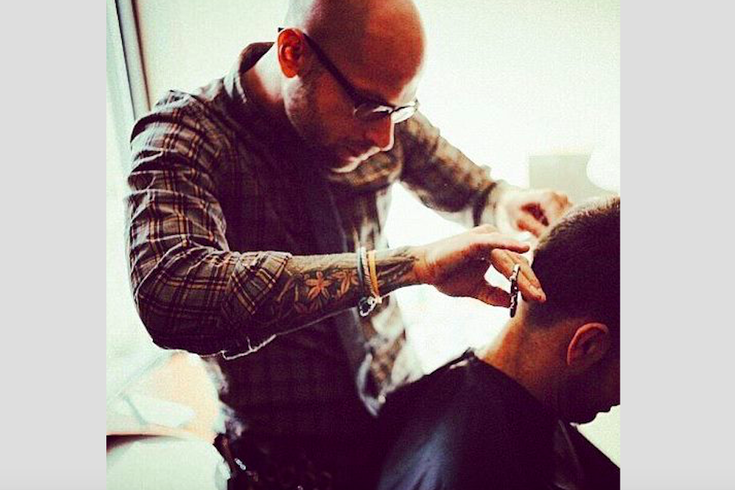 "I had known Rick to be a cool, funny dude, but didn't get to really appreciate him until he started cutting my hair. From that moment, I've looked forward to my biweekly #RickJob the way other people look forward to pay day. The best thing about the quality of Rick's work is that it is not only a nice haircut, but it also makes me feel incredible about myself." For men to know they can visit a salon and be taken care of is a big deal. Salons have often been thought of as a place for women, but Juliani hopes to change the way people think and break ground for more men to embrace the salon experience. DnA Salon opened in 2006 and offers services for both men and women.